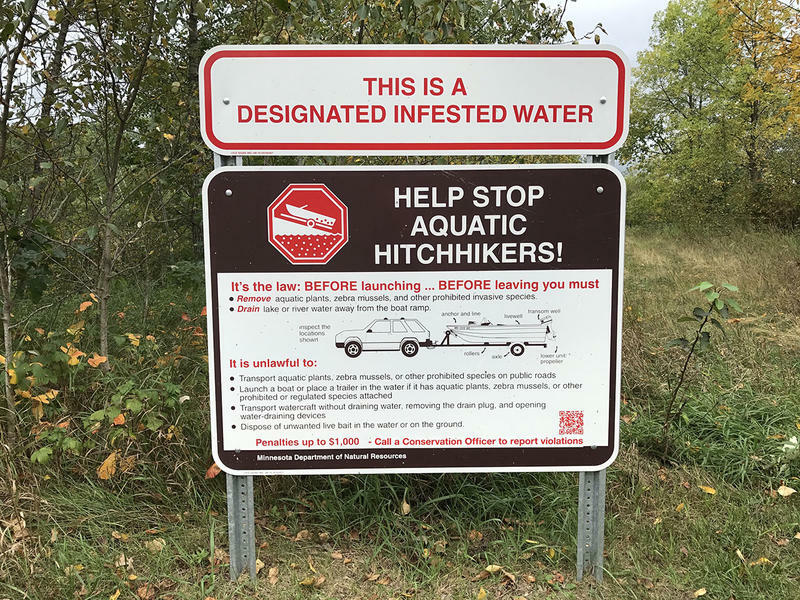 This sign from Minnesota gives a glimpse into one possible future if invasive mussels become established in Montana. Matt Hibsch dumps mussels collected from his property along Lake Winnebago in Wisconsin. Tom Longendyke cleans mussels from a screen that filters water going into a treatment plant in St. Paul, Minnesota. 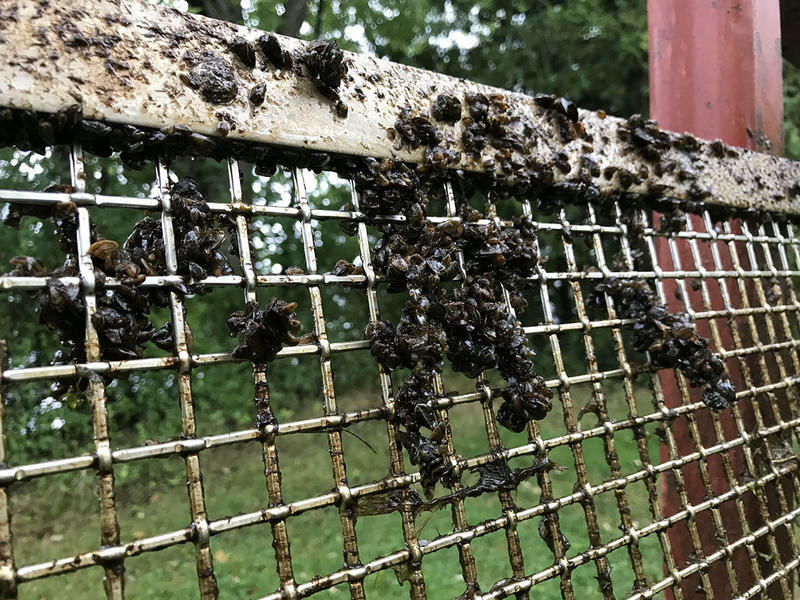 Mussels cling to a screen that filters water going into a treatment plant in St. Paul, Minnesota. 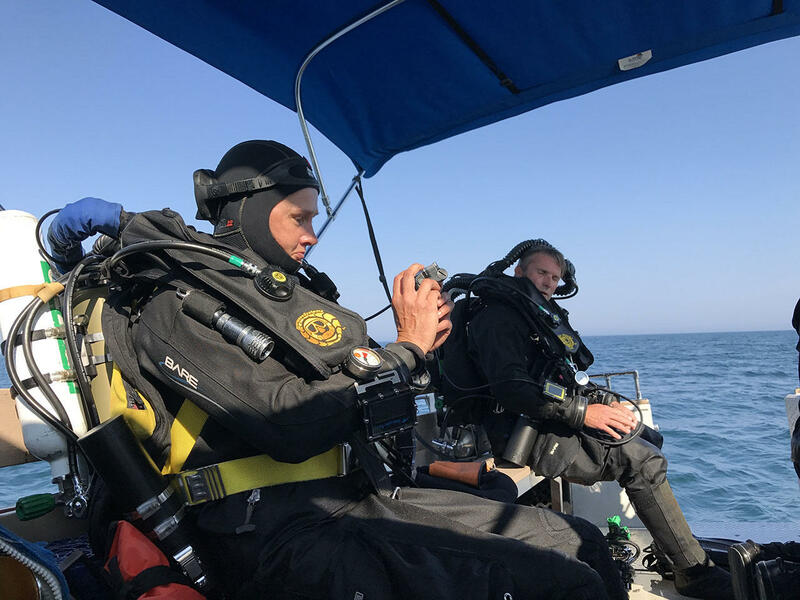 Jitka Hanakova gearing-up for a dive on Lake Michigan. 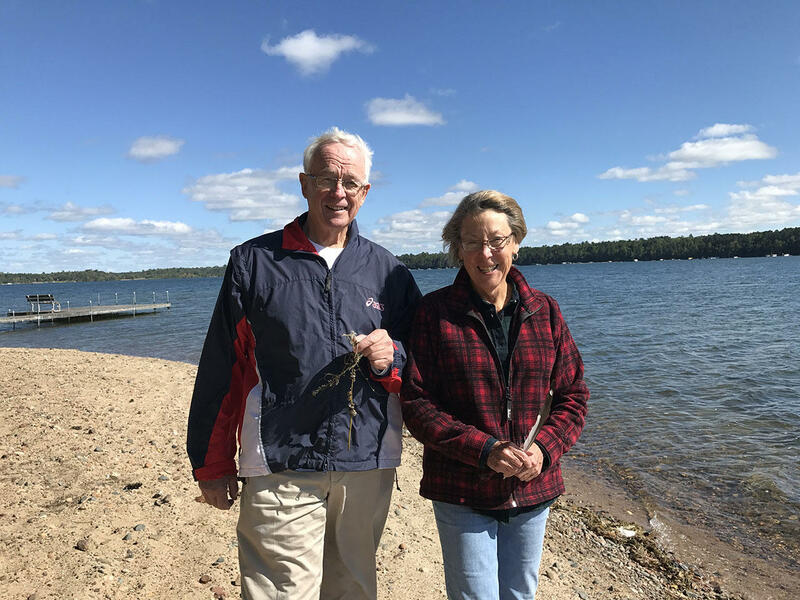 Tom and Jane Watson on the shores of Big Trout Lake in Minnesota. A clump of Mussels found during a dive at Lake Michigan. Montana was invaded last summer. Not by land, not by air, but by water. 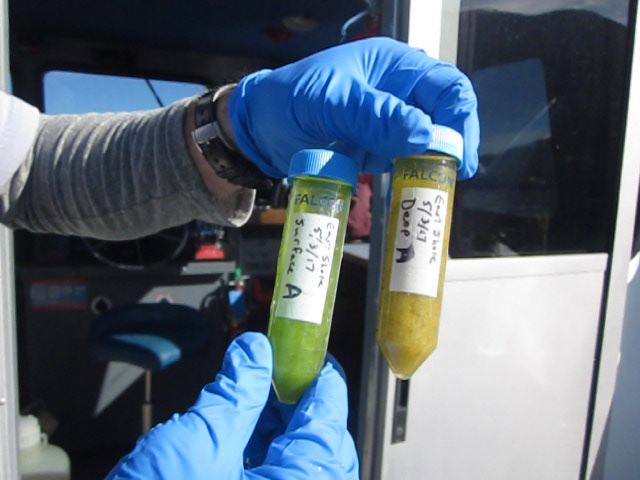 A microscopic alien showed up in water samples from the Tiber Reservoir, opening the door to a wide range of potentially devastating impacts for Montana's fisheries, outdoor enthusiasts and industries. 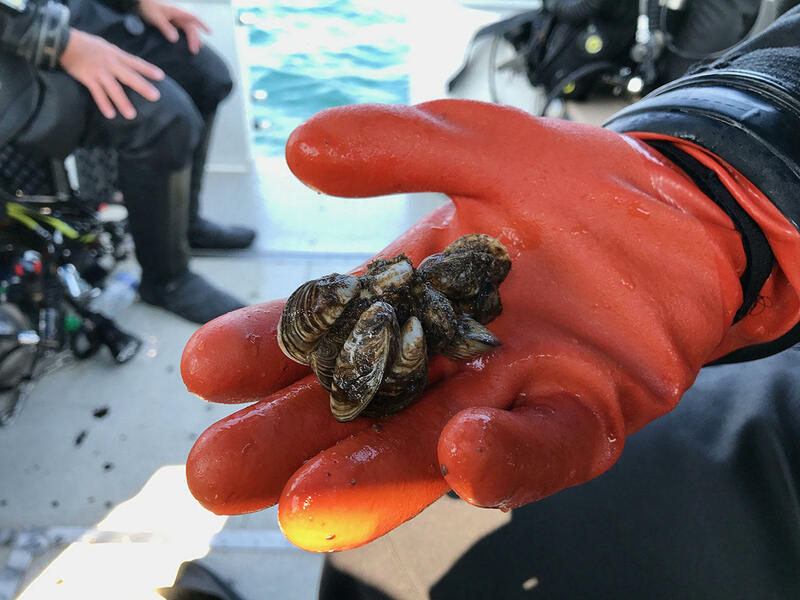 What happens if Montana fails to stop the coming invasion of zebra and quagga mussels threatening the state's water bodies? "SubSurface" looks into Montana's future (or one possible future) to see how the invasive mussels changed the Great Lakes region, and examines Montana's efforts to detect and prevent their spread. SubSurface: Resisting Montana's Underwater Invaders, coming November 20 on MTPR. What happens if Montana fails to stop the coming invasion of zebra and quagga mussels threatening the state's water bodies? 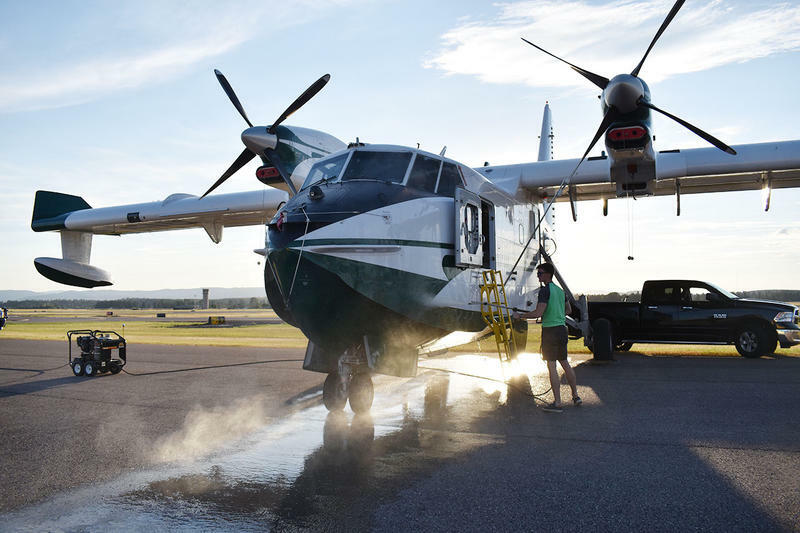 MTPR's Nicky Ouellet looks into Montana's future (or one possible future) to see how the invasive mussels changed the Great Lakes region, and examines Montana's efforts to detect and prevent their spread. As state legislators return to Helena next week to try to balance the state budget, one of the programs facing deep cuts is tasked with protecting rivers and lakes in the Flathead Basin from invasive mussels. They may not be able to continue that work. The Flathead Basin Commission was supposed to oversee a new pilot program next summer that would shore up protections against zebra and quagga mussels, invasive species that have caused millions of dollars of damage in infested states and changed lake ecosystems in ways we still don’t really understand. Update: This is an extended version of the story we posted Thursday, Oct. 12, the original text is at the bottom of this post. Along a rocky shoreline at Canyon Ferry Reservoir Thursday, if you listened closely, you could hear the sound of a dog sniffing, using its nose to search for invasive mussels threatening to overrun Montana waters. Hilo, a three year old black lab, isn’t finding any evidence of the adult quagga or zebra mussels he’s been sent to search for along the shoreline. Hydropower is a big resource in Montana. It accounted for almost a third of the state’s net electricity generation in 2015. Floods and droughts are always on dam managers’ minds, but lately, energy producers are also worried about tiny, non-native mollusks that could wreak havoc on Montana’s hydropower facilities. 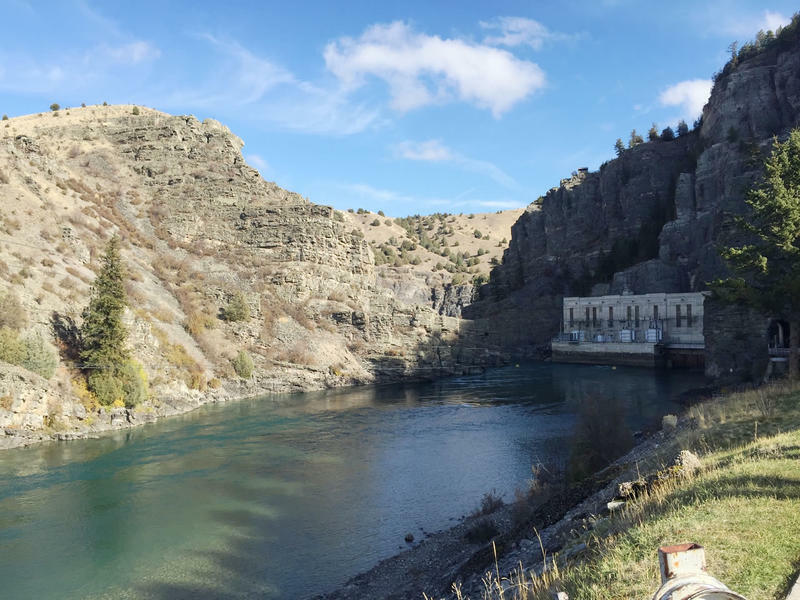 This spring, the legislature passed a bill that assesses fees on fishing licenses, hydroelectric facilities and some utilities to generate an estimated $14 million dollars over the next two years. 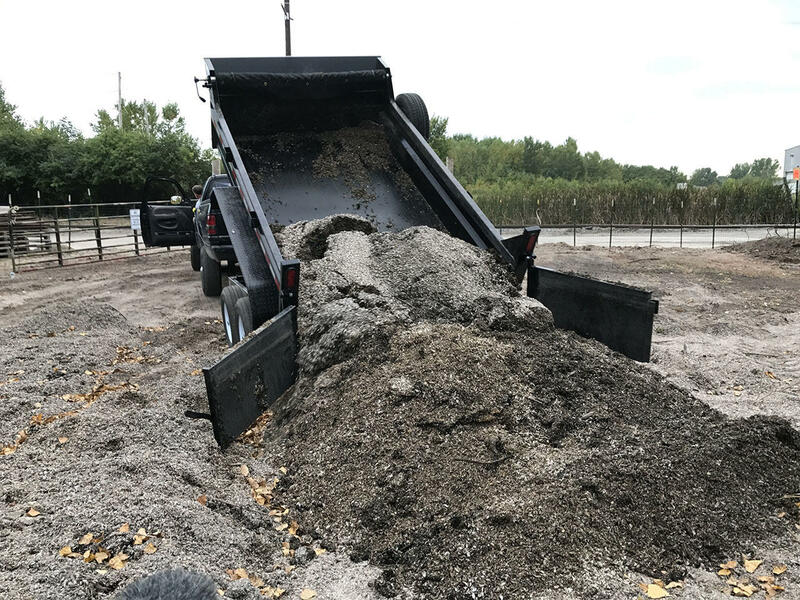 That will pay for inspection and decontamination stations for boaters across the state to help prevent spreading the mussels. News story explaining the new fees. Montana faces twin threats this summer: On land, crews are battling some of the biggest and most destructive fires in the country. 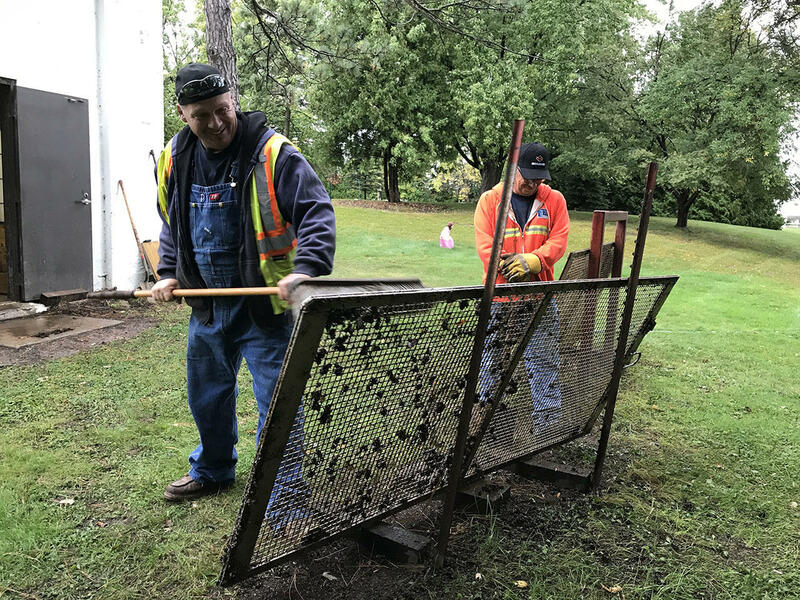 In the water, officials are staving off the spread of invasive mussels that could cause millions of dollars of damage to hydropower dams and irrigation lines. These threats come together for wildland firefighters, who often use equipment that travels across the country and has the potential to carry invasive hitchhikers with it. But firefighters are tackling the potential contamination head on.